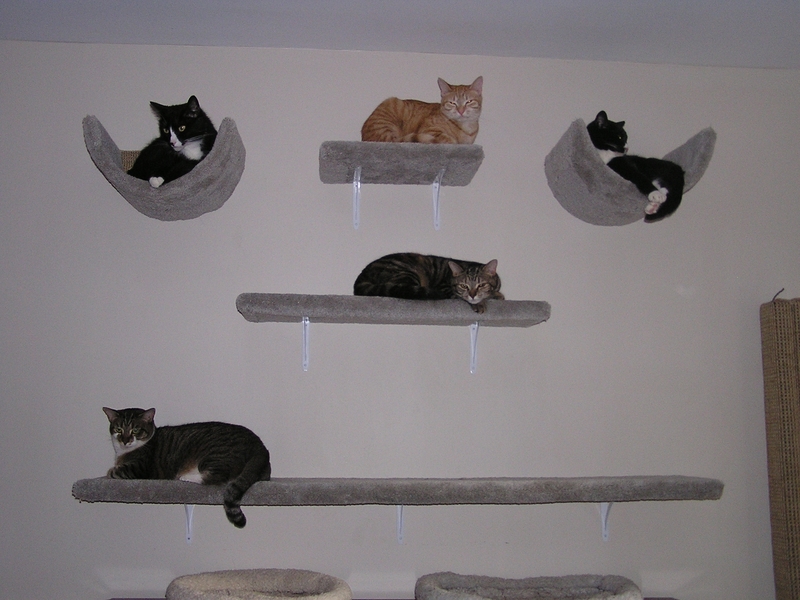 This was quite a multiple cat household combined with four dogs. 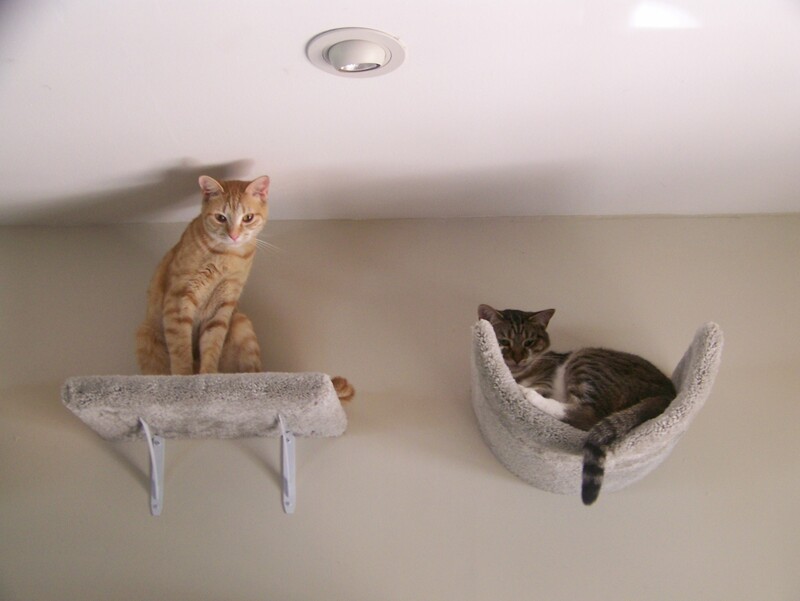 The challenge was that the home was humble in size and the cats did not have enough space to get away from the dogs. 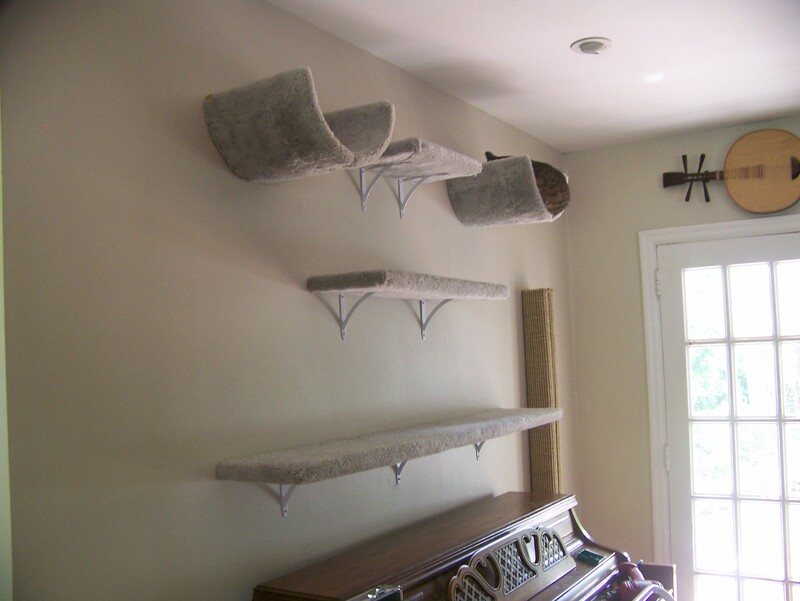 Because of this, there was intercat aggression and we needed to achieve vertical space without taking up anymore floor space. They needed a place of their own. 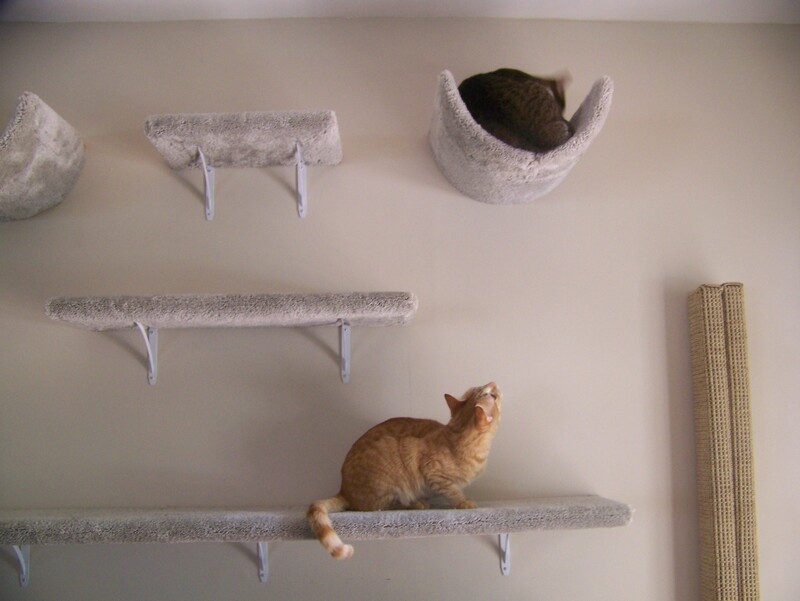 They also needed good scratching opportunities and feeding stations up off of the floor so that the dogs could not access the cat food. 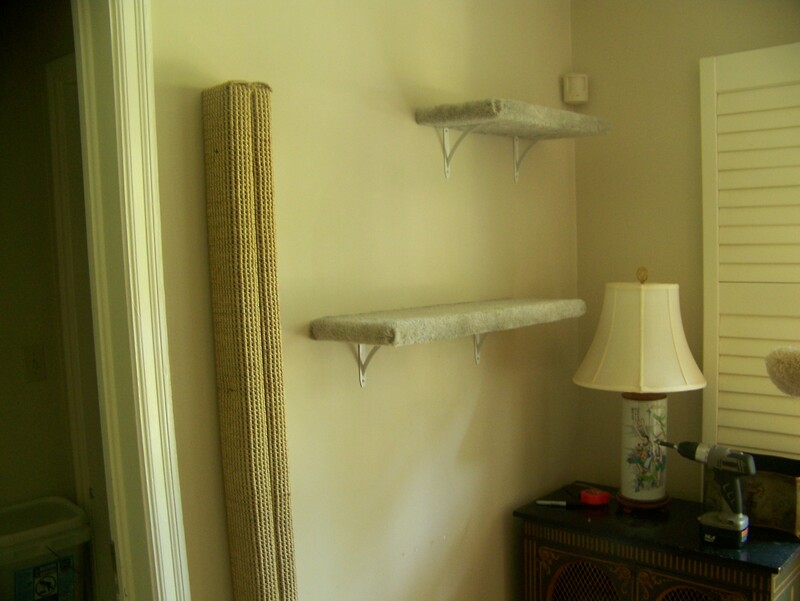 Another six foot tall scratching post and shelves leading to a long run above the window. 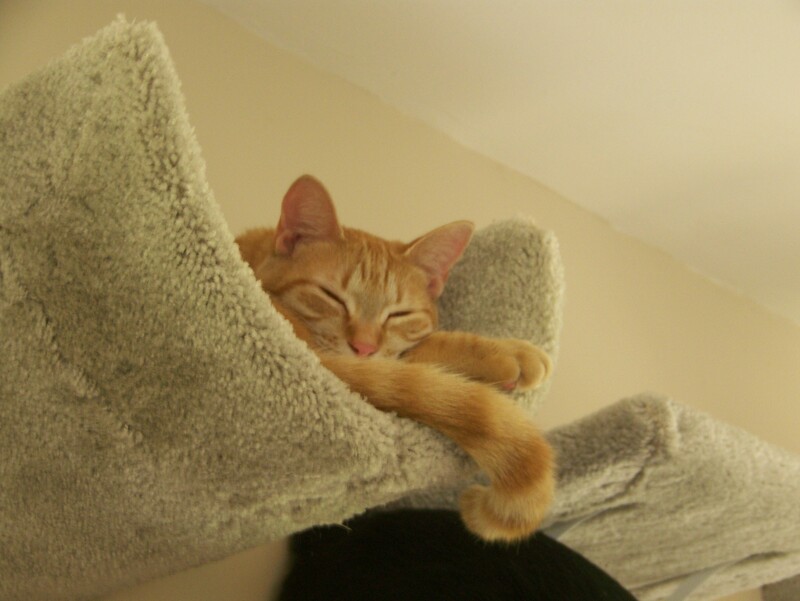 Height adds much needed security and contentment! 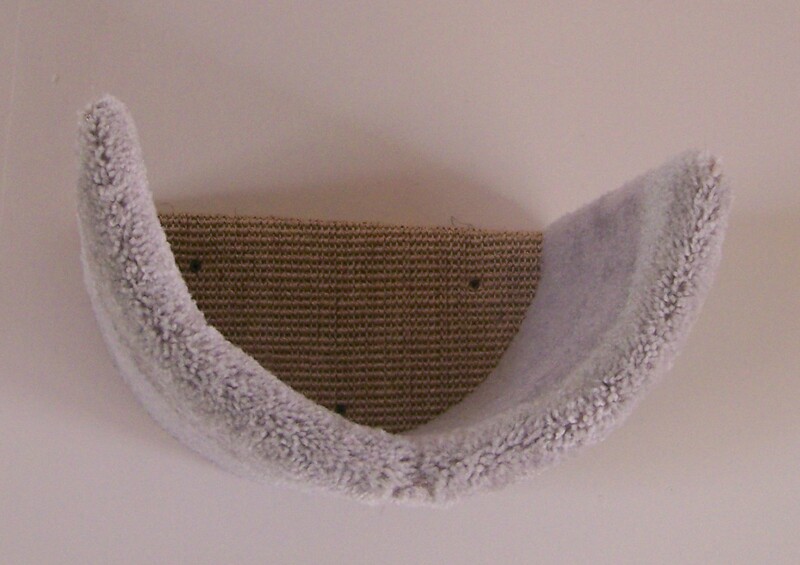 Floating scooped bed close up. 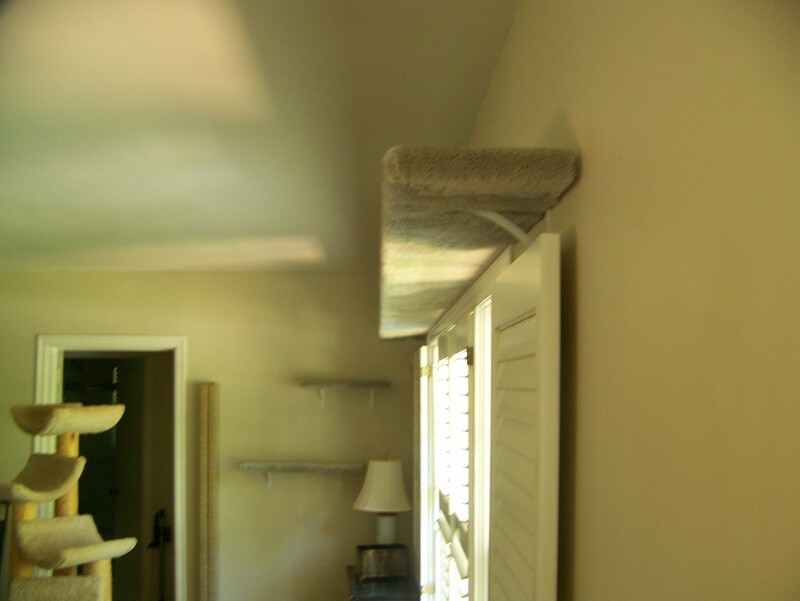 This client chose to use tufted carpet and we added the sisaled back to maximize scratching opportunies. Those dogs can't get us now! The cat condo in the background was placed at the end of this long run so as to not create any "dead end" areas for cats to get trapped by another. 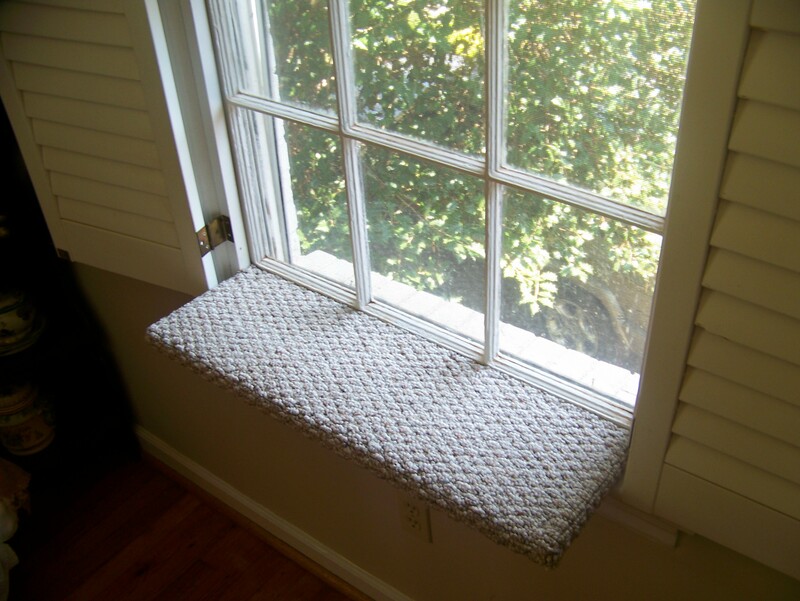 Window perches to maximize bird watching was also requested. 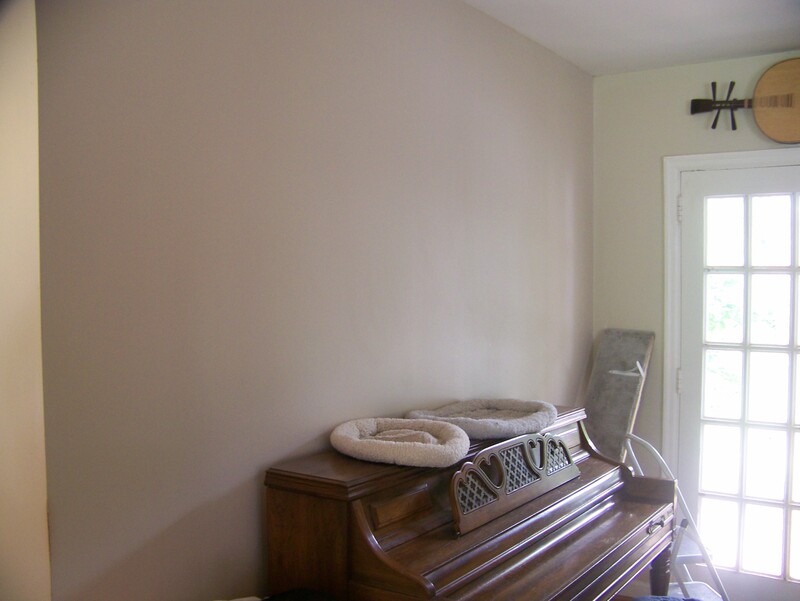 Here, we utilized materials the client already had available around the home. Happy Cats! Note that the flat runs can double as a feeding station away from dogs!